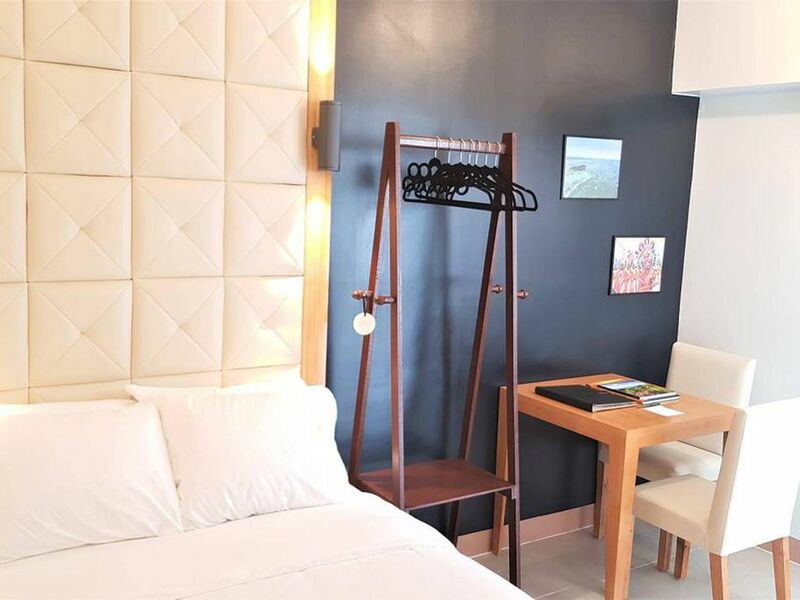 Cozy condo apartment is newly furnished, and offers the best in modern and convenience near the prominent IT Park in Cebu City. This apartment includes one standard double size bed to comfortably sleep two adults and a separate additional sofa bed (for one adult). The condo also features a full kitchen, private bathroom and free WIFI, Cable TV and all utilities. The IT Park neighborhood offers lots of nearby amenities including laundry, restaurants, malls, public transportation and shops. - Bedrooms have a standard double size bed, table with 2 chairs, closet and hangers. - Kitchen has electric stove, fridge, microwave and all basic utensils and tableware. - Bathroom with shower, toilet and sink. - TV with free Cable TV included. No smoking in apartment or building. No parking in the building.